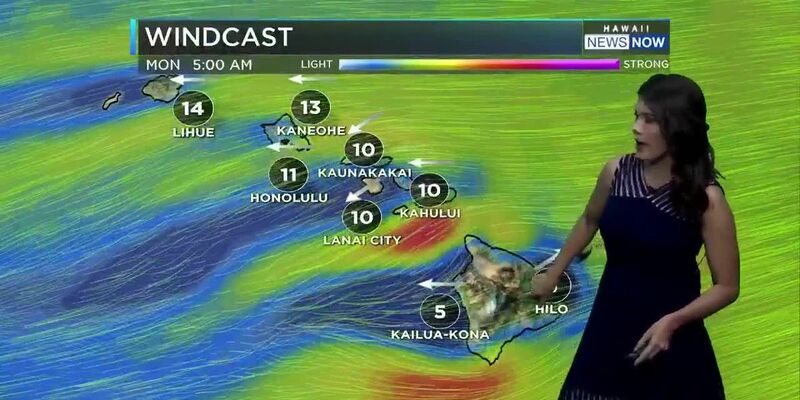 Cool northeast trade winds will blow over the islands into the weekend and likely beyond. 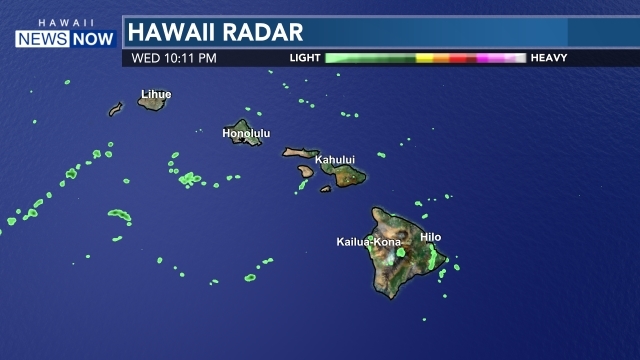 Rainfall will be sparse for Kauai, Oahu, Molokai and Lanai, but a cloud band will linger near the Big Island, where heavier rainfall and maybe even a thunderstorm or two will still be possible during the afternoon. Looking into the rest of the week, a ridge of high pressure will keep the trade winds blowing along with stable conditions. 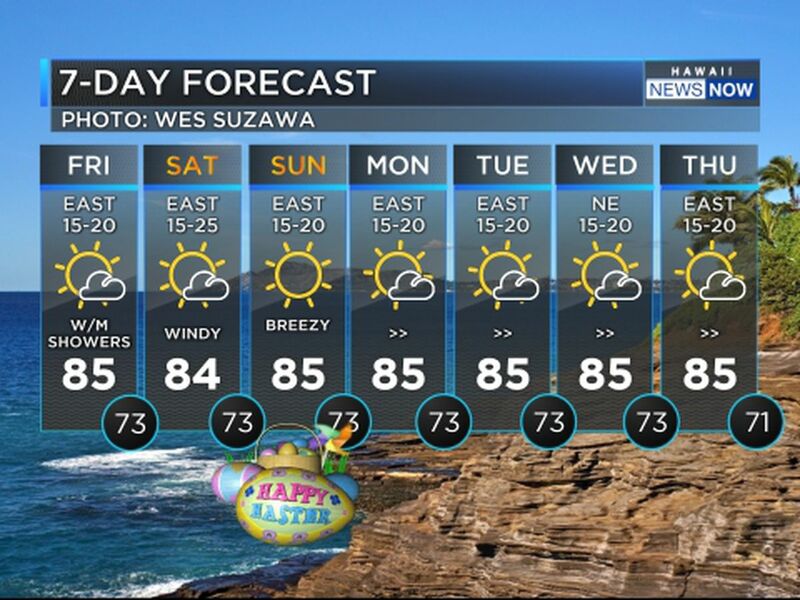 Just a few showers are expected for windward and mauka areas well into the weekend. A high surf advisory will be posted for north and west shores of Kauai, Niihau, Oahu and Molokai and the north shores of Maui as a large north-northwest swell arrives later in the day. Surf of 10 to 15 feet is expected for north shores by midday, and will rise rapidly to 16 to 24 feet overnight into Wednesday. West shore surf will rise to 8 to 12 feet by midday, and then increase overnight to 12 to 18 feet. There’s also a small craft advisory posted for most Hawaiian waters exposed to the swell.